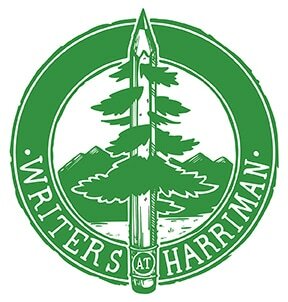 Join us for Writers at Harriman 2019, July 28-August 3. Early registration is available now. Join other high school students for an intensive week of imaginative writing with professionals in Idaho’s finest outdoor classroom, Harriman State Park. Experience nature's beauty and solitude first-hand. Explore your thoughts, feelings, and ideas. Open yourself to new writing styles. Join a community of writers your age. Try watercolor painting, storytelling, or paper making. Ride horses, meet moose, and watch trumpeter swans. Explore the trails and meadows of Idaho's finest outdoor classroom. Read your work to an appreciative audience. And publish your finished work (or works) in Henrys Fork Journal. NOTE: The address to the left is correct, but some mapping programs will send you ten miles out of your way. Just plug Harriman State Park into your map app. Once you're in the park you can ask at the visitor center or follow the signs to the camp.